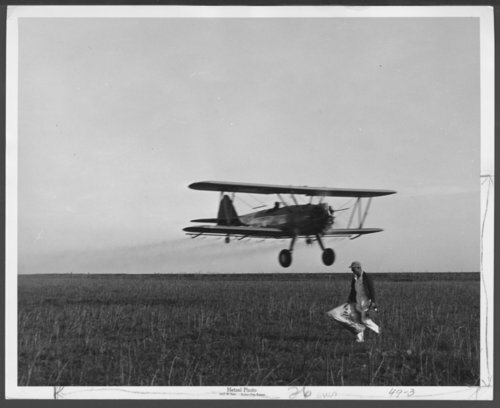 This black and white photograph shows a field being sprayed for noxious weeds by an aerial spray plane using 2,4-Dichlorophenoxyacetic acid. The spray, commonly called 2,4-D, is a pesticide/herbicide used to control broadleaf weeds. In the foreground, a man can be seen carrying items across a field.